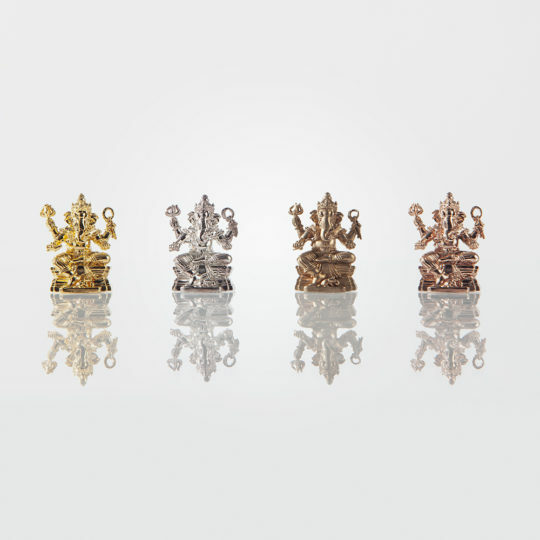 Size : 31.3 x 24.6 cm. 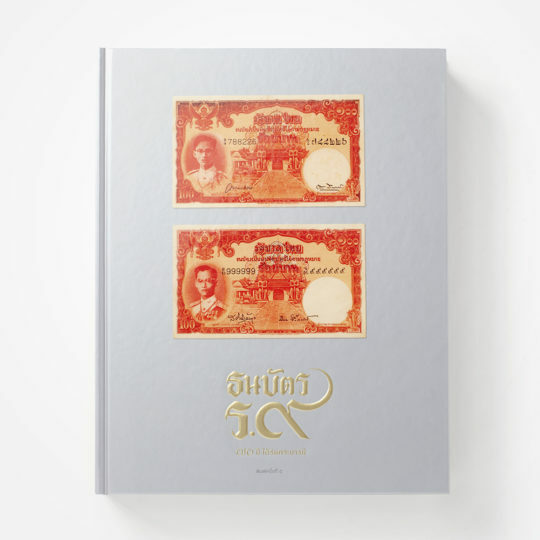 Thai Banknote of King Rama IV – Rama VIII is the most complete Thai banknote book which is the history of an important landmark for the inauguration of paper money from the reign of King Rama IV until the reign of the first printing of paper money in Thailand. 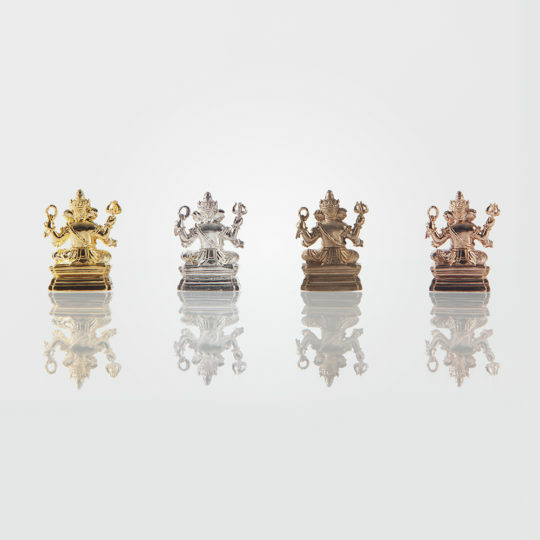 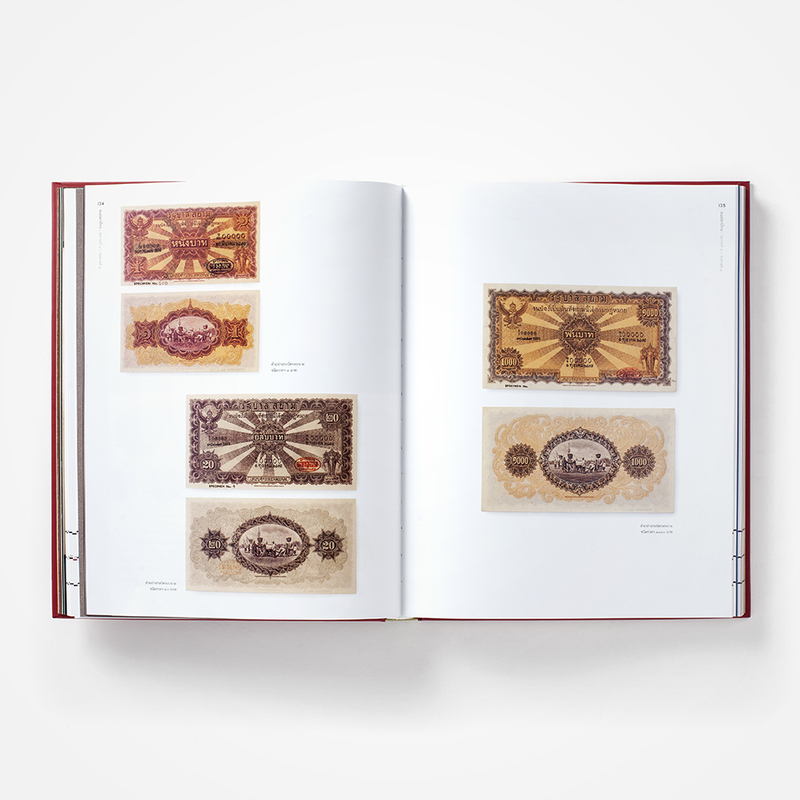 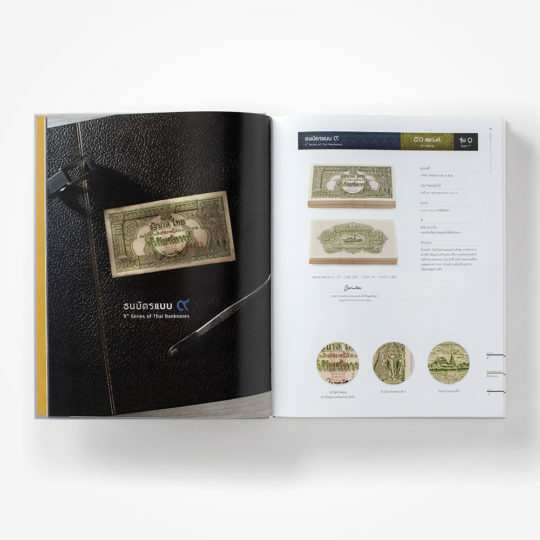 There are many interesting stories about the development of paper money, as well as the hiring of foreign companies like Thomas de La Rue, printing banknotes, and when unrest occurred during the world war. 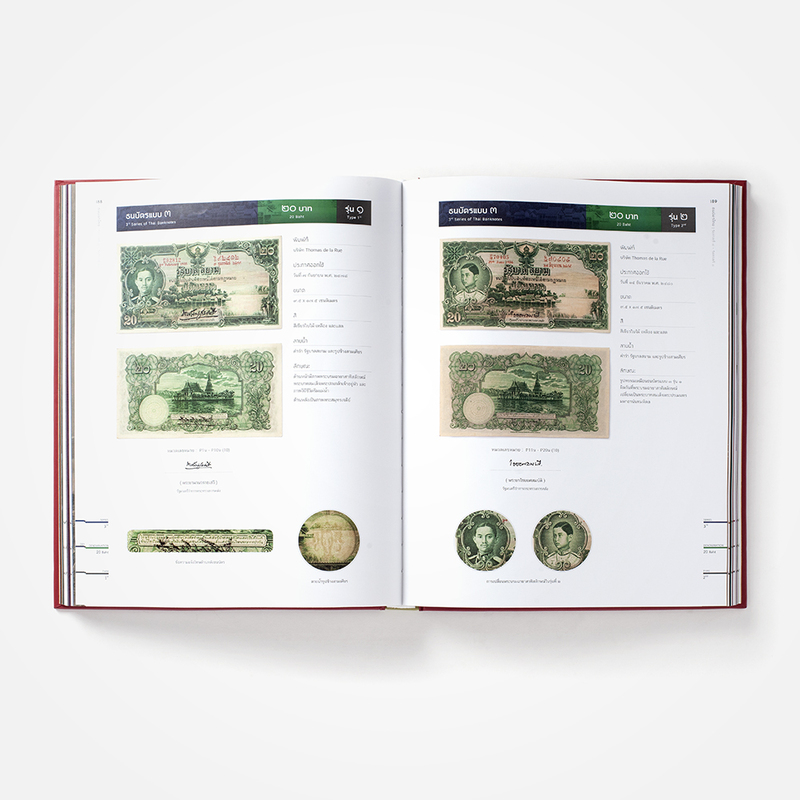 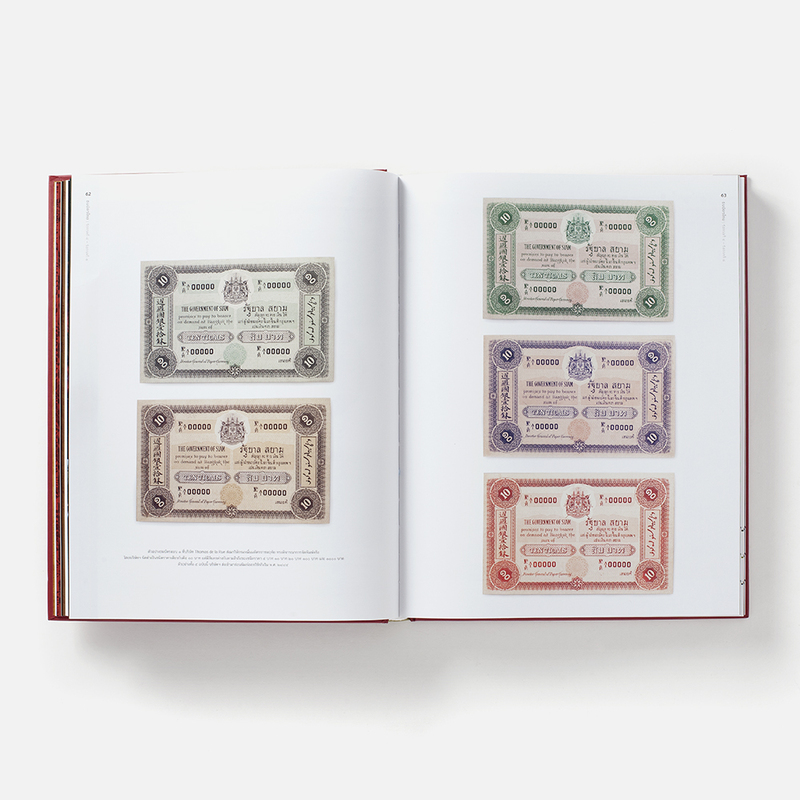 It is a financial history of Thai banknotes. 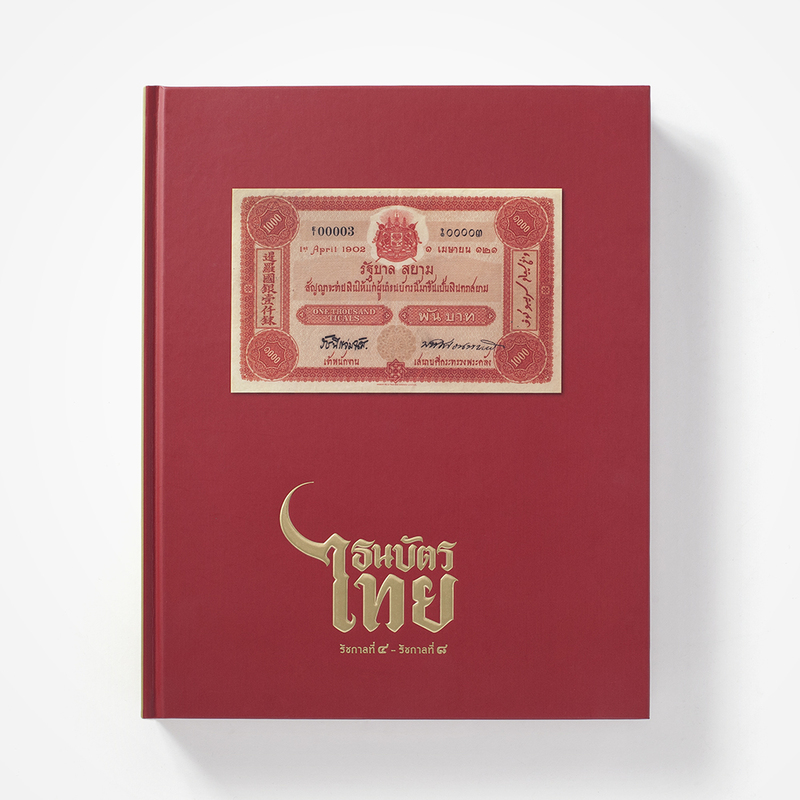 It is the most beautiful photo and rare data completely Thai banknote book. 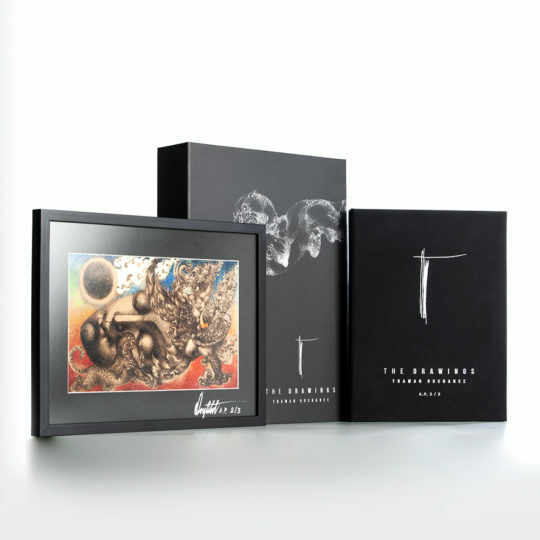 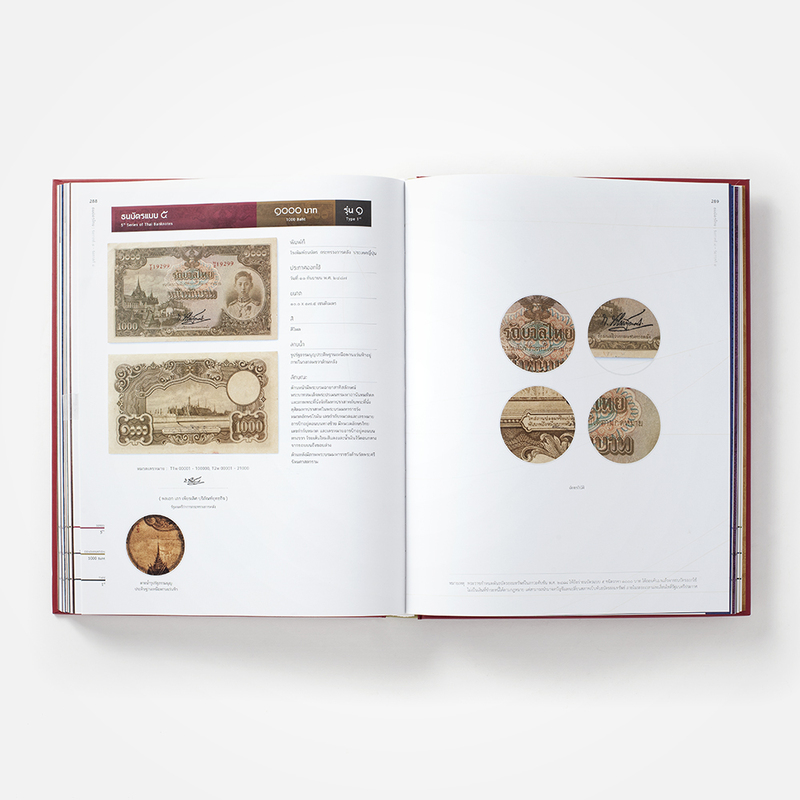 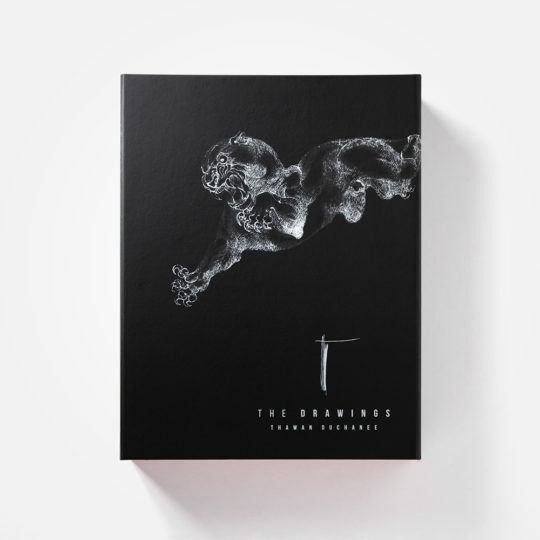 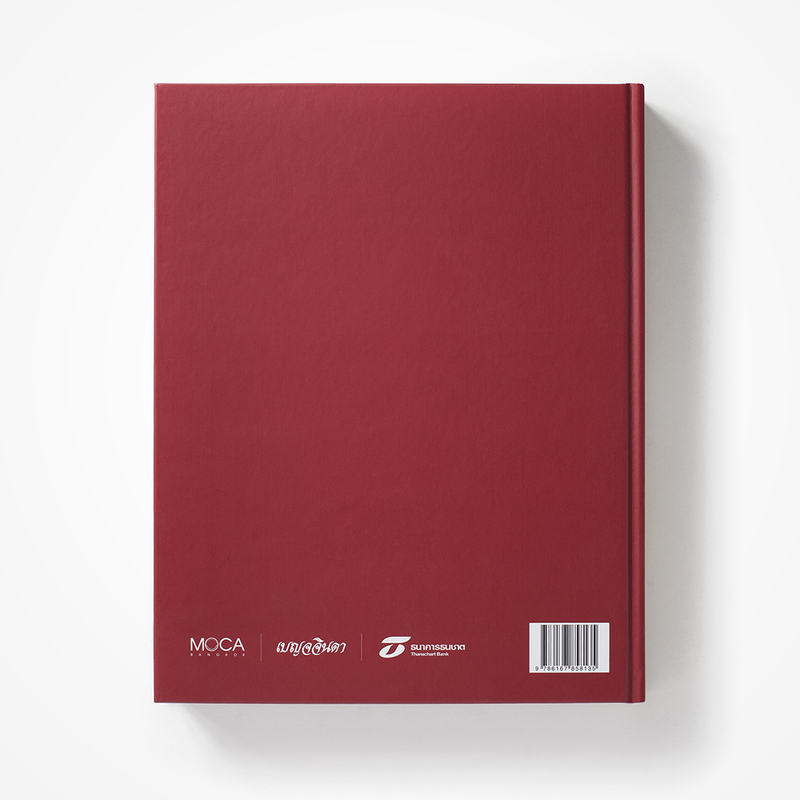 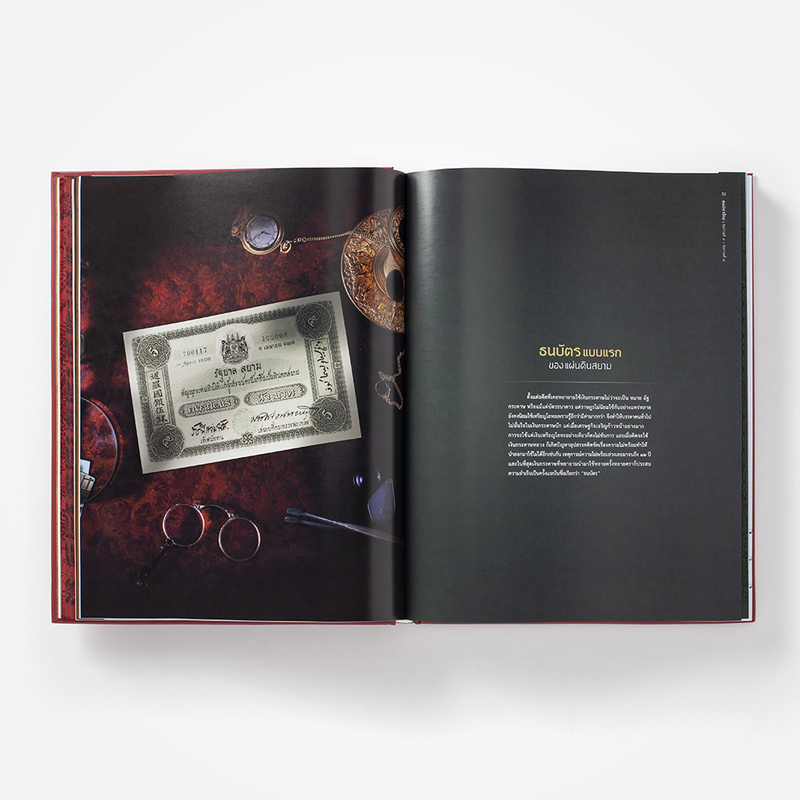 Thanks to the generosity and the supporting from the Bank of Thailand, which allows MOCA Bangkok to use the illustrated content as well as the bank’s various archives for the book to be fully accurate. 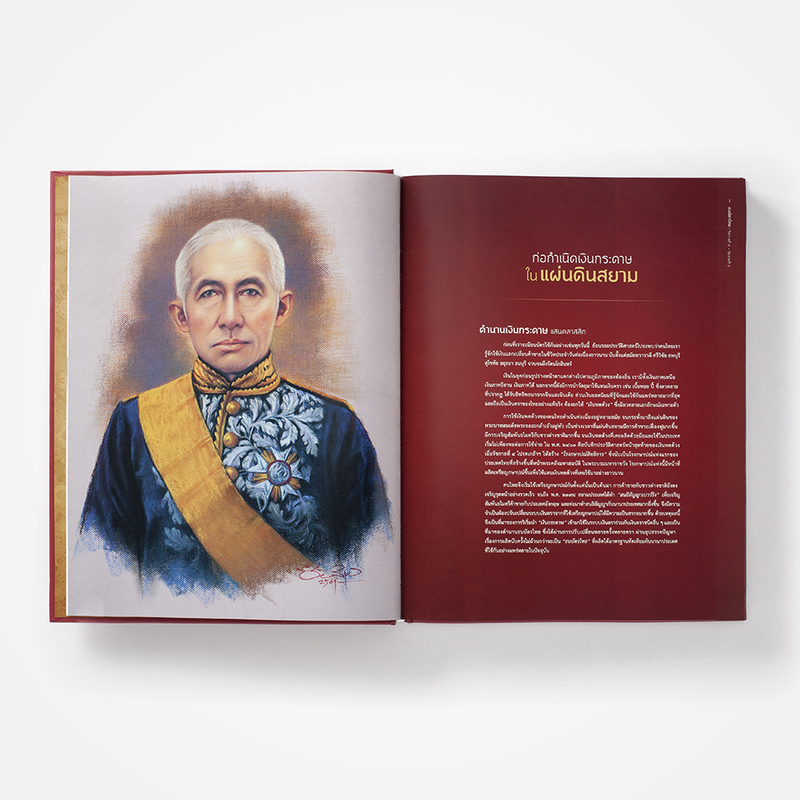 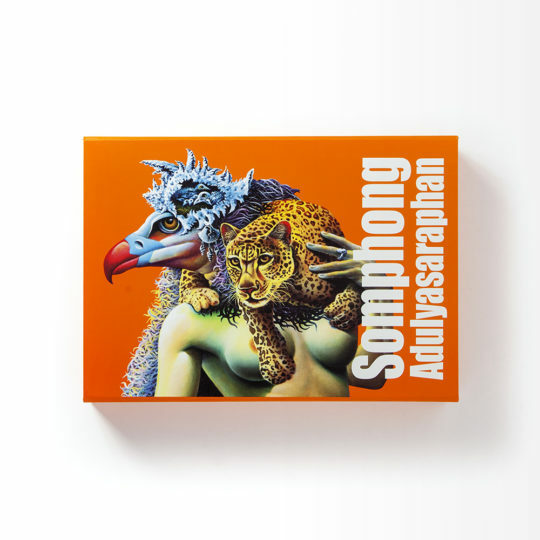 And the National Museum of Phra Nakhon, all advisory board that provides both knowledgeable and compassionate illustrations which make this book is precious rare one.